Just what is meant by the term: Universal Law? In answer, the meaning of both words constituting the phrase should be considered. The word "Law", has many meanings and definitions, but the one which perhaps best fits the subject of this discussion is: A statement that describes invariable relationships between various phenomena, under a specified set of conditions. And the word "Universal", simply states, is an adjective that, if and when applied to a particular subject, denotes that subject as being applicable everywhere, without exception. Putting them together, one may describe or define Universal Law as any fundamental principle which defines and describes the relationships between various things, under a particular set of conditions, and which applies equally throughout the universe. Depending on the reference source one relies on, the term "Universal Law" may be considered inter-changeable with "Natural Law" or "Law of Nature". And another point which should be noted, particularly in the context of this discussion, is that the Universe encompasses both a Physical Plane (i.e., the plane of being where Time and Space apply) as well as a Non-Physical Plane (i.e., that plane of being which is independent of Time and Space). 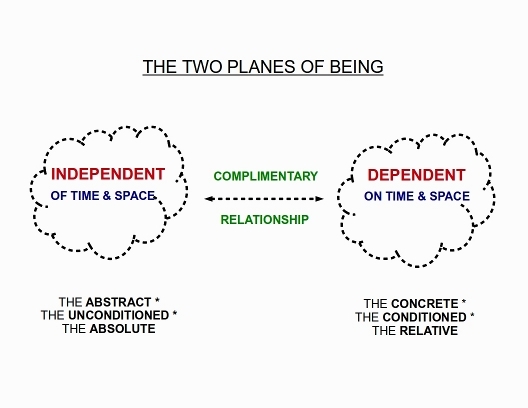 The distinction between the two planes of being is very significant, as it can be proven through careful reasoning that Time and Space may be said to constitute the two original Conditions, and all other conceivable Conditions can ultimately be resolved into some combination of those two original Conditions. At the same time, it can also be proven that the two planes of being are not diametrically opposed to each other, but are Polar Opposites, or Compliments of each other. As stated by Thomas Troward in one of his earliest writings (and in all sincerity, others have likely stated the same thing in their own manner) "Both are necessary for the formation of a substantial entity." Again, it may well depend on the particular source of reference by and through which one comes to an appreciation or understanding of Universal Law, but all indications to date are that most seem to agree that there is One Fundamental Universal Law, and that there are various levels of "subsidiary" Universal Laws which effectively govern how things work in the Universe. The One Fundamental Law, also known in some circles as the Great Law, has been expressed in different ways, but it is not the particular form or way of expression that is important, but rather, that the appreciation and understanding of it is gained by the inquirer. From what might be considered the purely scientific perspective, the Great Law may be expressed by the phrase: "Energy Is"; in other words, everything in the Universe is simply Energy, in a particular form. Another way of expressing the Great Law, from the philosophical or religious perspective, is a phrase that is found in the Bible (specifically the Gospel of St. Mark, chapter 12, verse 29): "The Lord (GOD) is One. "; i.e., the Original Intelligent Creative Entity (call it GOD, Universal Mind, Spirit, or by any other name) is the fons et origo (source and origin) of all that is. And there is at least one factor which may be considered to distinguish the Great Law from any or all subsidiary laws; namely, that it is immutable, i.e., it is consistent in its nature and modus operandi at all times and in all places, without exception. This immutability of the Great Law may be considered the fundamental fact of all being, without which, no basis can be established for any intelligible or sensible postulation of anything concerning the universe, whether in the physical side or the non-physical side. Concise Definition: Every circumstance, situation or event that is observed as having transpired, or come into being, may be considered an Effect, which corresponds or matches exactly with some Cause, or causative agency. Concise Definition: Everything in the Universe vibrates or exhibits a particular frequency or rate of oscillation of its basic component parts. Concise Definition: Everything in the Universe has an opposite counterpart which corresponds to it (e.g., up and down, inside and outside, left and right), and without which, the thing cannot exist. unto itself all things necessary for the inevitable formation of the object, which may be said to exist at the core or heart of the nucleus. As previously mentioned, in this Author's experience, the exact listing of subsidiary laws is not a fixed item; each reference source has its own choice as to which of the universal laws aside from the Great Law may be classified as "subsidiary" to the Great Law, and, again speaking generally, any and all other laws are often classified as "sub-subsidiary" (i.e., subsidiary to the subsidiary laws). Perhaps one example of the sub-subsidiary relationship, according to one popular school of reasoning, is the relation between the Law of Vibration and the Law of Attraction - according to that school, the Law of Vibration serves as a necessary foundation for the working of the Law of Attraction. 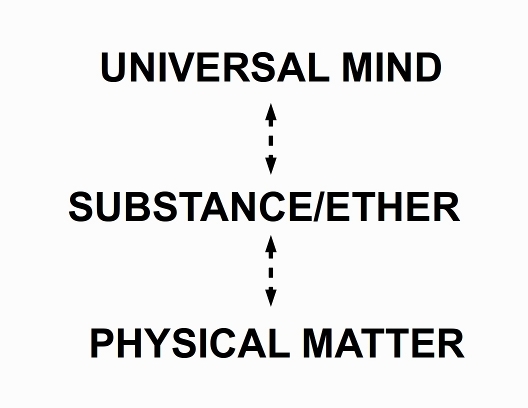 Now, if one goes back to the previously-established definition of Universal Law, it will be seen that a Law may be said to consist of: (1) certain things or phenomena, (2) the conditions in and under which those phenomena exist, and (3) the relationships that exists between the phenomena, and which are the end-product of the conditions. Hence, it can be considered a reasonable and sensible proposition that the essential factor or component which ultimately determines the nature and modus operandi of any Law are the conditions which are established. Perhaps a very simple example is to be found in the progress of shipbuilding - in all likelihood, it is a story that may have been told in different ways, but the underlying message is the same. In ancient times, all ships, boats and other watercraft were made of wood, and not iron, based on the simple observation that a log of wood floats in water, while a lump of iron sinks. Yet, over time and up to our present day, it is ridiculously easy to find watercraft made of iron, yet they float just as easily as any vessel made of wood. And yet, the physical and chemical properties of wood and iron (specifically, the property known as density or specific gravity) have not changed, since (literally) the beginning of the world. So just how did the ability to make iron float come to be? Speaking generally, careful observation led to the discovery of what is aptly called the Law of Floatation, which may be defined as follows: anything may float in a particular medium, whose weight is lighter than the mass of the medium displaced by the thing. So it was that by factoring in the mass of water displaced into the various calculations and determinations, that it was discovered how a ship built of iron could float in water, and, by the same principle, how a balloon could float in air. As can be seen by this example, the Law of Floatation itself has not been transgressed, contravened or violated, but rather, new and different conditions were provided, so that results were realized that could not be otherwise attained. 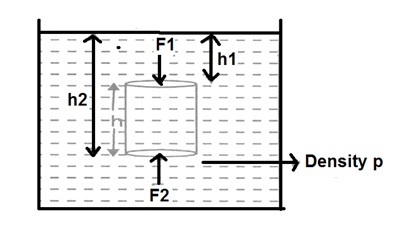 Expanding on the point, in similar manner as it was first referred to back in the discussion on Creation and Evolution, the conditions which spontaneously occur in Nature determine the action of a Law (be it the Law of Floatation, or any other) along certain specific lines, or, expressed another way, in a generic manner. The discovery of how to "make iron float" came about through the introduction and establishment of conditions which do not spontaneously occur in Nature, but rather are brought into being through the exercise of initiative and selection. And a similar train of reasoning can be established regarding the production of (to use the terminology of the early 20th century) "carriages which go without horses", "heavier-than-air" flying machines, or any other of the scientific and technological innovations, or their present-day versions, with which modern Man is so familiar, as sometimes to take them for granted. The materials for their production, as well as the laws governing their operation existed (literally) in the time when Life supposedly "crawled out of some primordial ooze", as now; only, until someone awakened to the possibilities contained in the laws, and how those possibilities could be evoked, the commonly-accepted opinion was along the line of: "It has not been done before, and therefore, it cannot be done." And in accordance with another Universal Law or Principle - namely, that of Continuity (first referred to back in the discussion on Mind Over Matter - if it is possible to make one Universal Law work to produce new and different results, via providing specific conditions which differ from those which spontaneously occur in nature - what early metaphysical schools referred to as "specialization" of a Law, then it should be equally possible to specialize any other Universal Law, so as to produce new and different results; with the Great Law being the only likely exception. But someone might well ask: "Does this mean that I have to work at specializing a number of Laws (if not all of them) simultaneously, in order to ultimately realize some desired or preferred result in some particular area of my individual life?" On first glance, that may appear to be a daunting and even overwhelming task, but a little careful consideration would indicate that it is, in all likelihood, much simpler than that. Once more, it may depend upon the reference source by and through which one comes to learn about them, but, according to one particular source, all other Universal Laws may be considered subsidiary to the Law of Cause and Effect. It is, in all likelihood why Ralph Waldo Emerson (1803-1882) is credited as referring to the Law of Cause and Effect as "the Law of Laws". And, based upon that viewpoint, it is quite possible to view the operation of all other Universal Laws (except perhaps the Great Law) as demonstrating compliance with the working of the Law of Cause and Effect. As a simple example, one may perhaps consider the Law which has gained the most attention among the masses of mankind in recent times - namely, the Law of Attraction. One simple definition of said Law is that: Man tends to (perhaps indirectly, yet surely) attract to himself, and simultaneously, be attracted to conditions that are, so-to-say, in harmony with himself (or perhaps more precisely, with his pre-dominant beliefs). The establishment of the particular attractive state (whether achieved consciously or unconsciously) may be considered the Cause, and the conditions which present themselves constitute the corresponding Effect. Getting back to the issue of the specializing of Universal Law, the inquiring visitor may endeavour to trace it out for themself if they wish, but it is sincerely volunteered here that any person (Author included) need only apply the specialization process to one - and only one - Universal Law, and by properly doing so, he or she can - again, perhaps indirectly, yet surely - press all other Universal Laws into serving his or her particular desire, intention or aspiration. And that one Law - mentioned back in the discussion on Faith, is there referred to as the Law of Belief, or of Faith. The preceding may be considered one application of an old proverb that says: "Take care of the heart, and the head will take care of itself." Referring to statements made in previous discussions, the "heart" may be considered the subconscious or subjective mind, and the "head" the conscious or objective mind. Hence, if one would get the appropriate mental state or belief established, they will find things in their objective world opening out more and more in their favour, rather than against it, continuously and to an ever-increasing degree. Again, the visitor would do well to investigate the matter and convince themself that, as a noted authority put it, the facts have not been fabricated to fit a theory, but rather, the theory has been built up via careful observation of the facts. And the outcome of the proper and right implementation of the theory is, as stated elsewhere, the unfoldment of literally infinite possibilities, both for the individual, and for the race. It may be considered akin to the statements credited to the apostle known as St. Paul, that the whole universe is, so-to-say, waiting in anxious expectation for the revealing of the sons of GOD, i.e., those persons who awaken to the possibilities and potentialities that are to be uncovered, through a right understanding and proper specialization of Universal Law. And each and every person will decide for themselves if such an unfoldment is worth the effort necessary to bring it to the forefront. As stated previously, depending on the source of reference, it is possible to find many varying accounts as to the quantity and inter-relation of the various Universal Laws. On some occasions, one account may differ from another; even seeming to contradict one another. This however, should not pose as a detriment to the inquiring mind who genuinely seeks to gain an understanding of what Universal Law is. An example of one web location, which briefly exposes the visitor to more than one formulated system of such Laws is provided by the web link below, and may form a starting-point for further research - on clicking it, a new browser window will open.